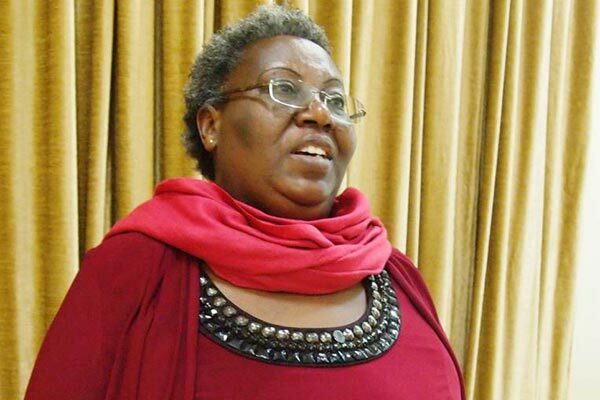 KAMPALA – Dr Sheila Ndyanabangi, the principal medical officer for Mental Health and Control of Substance Abuse at the Ministry of Health is dead. Dr Ndyanabangi succumbed to cancer of the uterus August 25. Reports from Ministry of Health indicate that the late Dr Ndyanabangi started feeling unwell in 2016 after she was diagnosed with cancer of the uterus, she underwent surgery and had her uterus removed. However, she continued going for monitoring and went for further check-up in India where she was declared cancer free towards the end of 2016. Mr Emma Ainebyoona, the senior public Relations officer at the ministry of health confirmed that Dr Ndyanabangi is dead. “Yes, we have received the sad news of the death of Dr Ndyanabangi, reports indicate that she succumbed to cancer of the uterus, she has been a great doctor and we shall miss her. May her soul Rest in Peace,” said Mr Ainebyoona. He said Dr Ndyanabangi passed on today morning Saturday, August 25, 2018, at Mulago Hospital’s Intensive Care Unit (UCI). “She was put on chemotherapy but the cancer was not responding to treatment that in March this year, a swelling which had grown bigger was removed. However, she remained very weak but could still stand and walk,” added Mr Ainebyoona. He revealed that in July this year, she was discharged after spending two months in hospital. She was re-admitted about a week ago but that it is on August 21 when she was taken to ICU after developing hardships with breathing and it is unfortunate that she passed on this morning. “The Ministry of Health staff will dearly miss her and details about burial arrangements will be communicated in due course May her Soul Rest Eternal In Peace,” said Mr Ainebyoona in a statement sent to the media. A relative said Dr Ndyanabangi until her death has been getting her treatment at the Uganda Cancer institute. Her body has been taken to Mulago national referral hospital for postmortem and there will be a vigil at Namuwongo, at the late Doctor Ndyanabangi’s home. The media fraternity has described late Dr Ndyanabangi as a dedicated, loving medical professional who was free with the media. Dr Ndyanabangi was born in Kabale in a family of 11 in 1966. She attended Hornby High primary school [it was both a primary and secondary school], Bweranyangi Girls’ SS and Mt St Mary’s College Namagunga. She studied human medicine at Makerere University and had a master’s degree in Public Health. Dr Ndyanabangi served as the National Tobacco Control Focal person at the Health ministry and at the time of her death, she has been the Principal Medical officer in charge of Mental health and substance abuse.